Also, browse all EIP Transport panels here: ( click here ). Similarly, these EIP signs are available in Aluminium, PVC and Corflute. Furthermore, we can supply in ACM panels. There are many, many different EIP signs. Therefore, if you don’t see what you need, contact us. HERE Likewise, there are design a sign templates, where you can insert your information. Also, we also recommend you select the laminate option for extra sign protection. 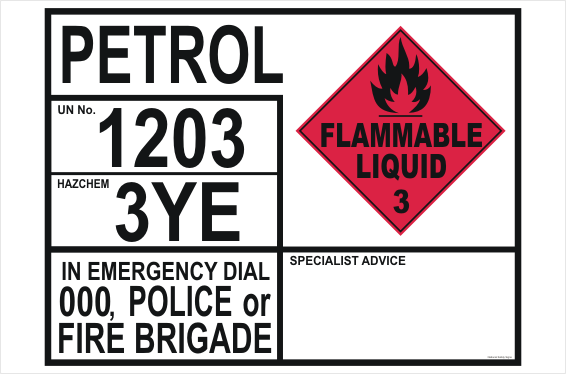 If, because of an obstruction on the vehicle, container or unit, it is not reasonably practicable to mount an emergency information panel as a whole. The panel may be divided vertically into two parts and mounted on either side of the obstruction.